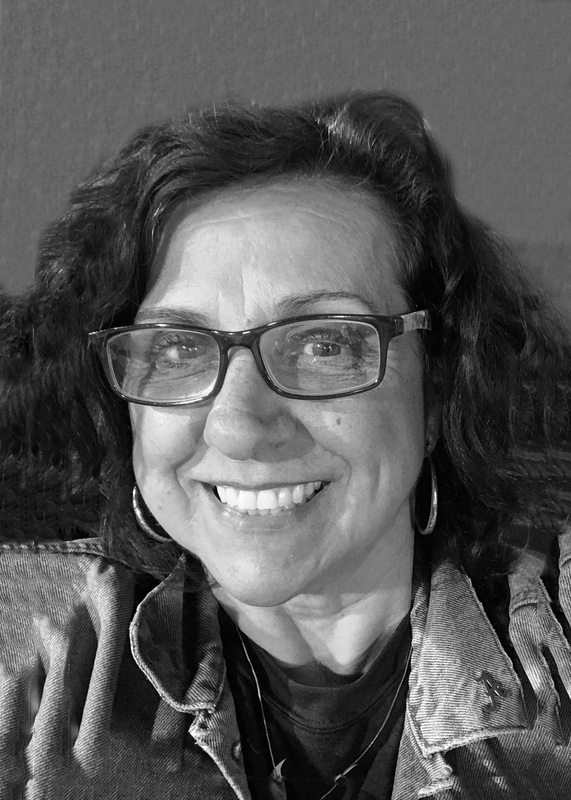 Judie Churchill got her start in soccer with the Braddock Road Youth Club (BRYC) and the Washington Area Girls Soccer League (WAGS) in the 1980’s. Judie’s three daughters played travel soccer with BRYC and WAGS. Judie also was an active volunteer for the WAGS Rael Vodicka Memorial Tournament. She, along with Charlotte Moran, served as the hostess and greeters for all the College Coaches that came to the tournament. They made sure the College Coaches had profiles and schedules for all players and games and answered any questions the college coaches and/or club coaches put forth. Judie was indeed a valuable asset to the WAGS Rael Vodicka Memorial Tournament –Judie along with Margaret (Mike) Gardner were VYSA Girls ODP Co-Chairs and Judie served from 1991 through 2002. Judie Churchill was a dedicated administrator to the VYSA Girls ODP Program. She put her heart and soul into the program and her passionate contribution to managing a well-run Girls Program greatly contributed to the success of the VYSA Girls ODP. Judie also served as a member of the VYSA Board holding the position of Recreational North Commissioner from 1994 to 2002. Judie served on the Region I Girls ODP Committee and for the seasonal years 2001-2002 and 2002-2003 Judie held the position of the US Youth Soccer Girls ODP National Chair. Judie was the East Women’s Soccer Team Administrator for the Regional Olympics in the US. She and Mike also served as team administrators for the U15/16 DC/VA Girls ODP team that traveled to Bergen and Norway. As Girls ODP National Chair, Judie was the representative of the US Delegation for the US U19 Women’s World Cup CONCACAF games in Trinidad and Tobago. Judie and her family moved to Montgomery, Alabama in 2002. She now resides in Florida. George Vergara played soccer in a number of Virginia youth teams and then at the Virginia Commonwealth University (VCU) from 1978 to 1980 before becoming a referee. In 1980 he became a referee and has been actively refereeing for almost 40 years. He went from a Grade 8 in 1980 to a Grade 4 in 1996 to ultimately becoming a Grade 2 FIFA Assistant Referee in 1999. George Vergara is the only US Soccer referee from Virginia to become a member of the US Soccer FIFA panel of referees and assistant referees. He has officiated Youth, Regional and National, Region I Adult Finals, Major League Soccer, MLS All Star and MLS Cup Finals. He also officiated in COPA CARIBE, Central American Club Championships, World Cup Qualifiers and numerous International matches in many countries. Professional Club Matches include Manchester United, Bayern Munich, AC Milan, Barcelona, Roma, Liverpool, Fiorentina, Juventus, Palientankos, Ajax, Feyenoord, and others. George has also served as a National Referee Instructor (2005), National Referee Assessor (2005-2015) and National Referee Coach (2015 to present). In these capacities, George has mentored and developed hundreds of referees sharing his passion and expertise in officiating the beautiful game of soccer. George also holds a USSF “A” Coaching license and lead the Richmond Strikers to the U11 State Cup Championship in 1983 and FC Richmond U12 State Cup Championship in 2014 to 2016. George has served as the State Referee Administrator for the Metro DC Virginia State Referee Program (MDCVASRP) which is responsible for the certification and training of all US Soccer Referees in DC and VA. MDCVASRP has produced several regional and national young referees of the year both male and female. George is also a founding member of the Professional Soccer Referees Association (PSRA) that established a union for collective bargaining with MLS and US Soccer to enhance the training, well-being, and treatment of professional referees. He served as President of the PSRA from 2008-2018. 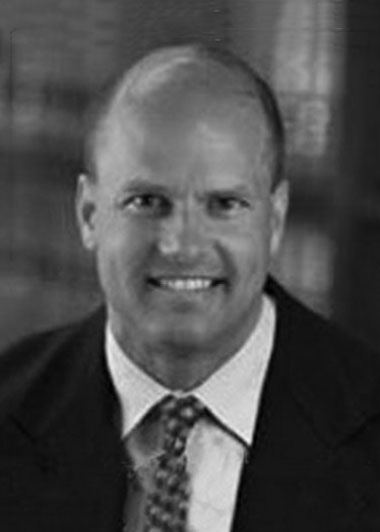 Jim Sadowski has been involved in many capacities in Soccer in the Virginia/DC area. He played at George Washington University as a walk on from 1985-1987, and was captain the Arlington Tigers and GWU Colonials competitive men’s teams 1986-1999. Jim played and served as manager for the Mall Rats Coed team from 1994-2009. The Mall Rats dominated coed soccer in the area for more than 10 years winning the league title more than 10 times as well as multiple tournament titles. Jim’s Mall Rats Team also won the USASA open and U30 Coed Cups in 1999, 2003, 2009. Jim also played with the Richmond Lions Masters U40 team at the Neptune Soccer Classic. Jim has served the Metropolitan DC-Virginia Soccer Association for many years. He was Vice President from 2001-2002 and has served as President since 2002. Jim has also served at the Adult representative of the State Referee Committee since 2002. Jim founded and ran the Capital Coed Soccer League from 1994-2002, the first USSF affiliated coed league in the District. Jim has also refereed at every level of youth and adult soccer since first becoming a Grade 8 referee in 1986. He was a national referee from 2009-2014 and a volunteer referee for eight Veteran’s Cups. Jim also served on the USASA Coed Cup Committee from 1999-2006 as the Region 1 representative, then as Chair from 2007-2009. Jim was a DC United season ticket holder from its inaugural year in 1996 to 2013. Jim was also the referee liaison for the Women’s World Cup in 2003, the USMNT vs. Panama World Cup Qualifier at RFK, and for several games for D.C. United. Jim was a member of the US Soccer Foundation Grants Committee from 2008- 09. He has also attended six straight World Cups to support the USMNT and he attended all but one of the USWNT matches at the 2003 Women’s World Cup. 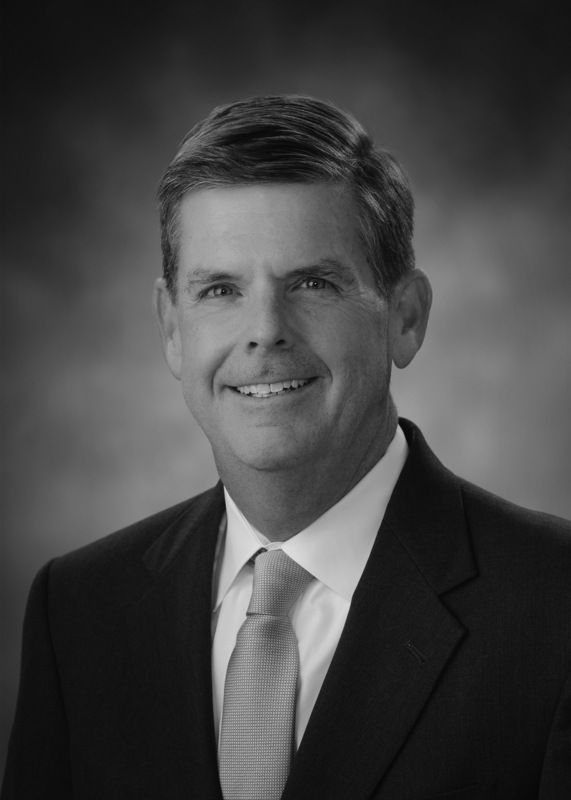 Danny began coaching in the early 80’s as a teenager in Greensboro, NC. He coached 6 NCYSA State Champion teams with one of his teams advancing to the finals of the Southern Regionals losing to North Texas. He moved to the Roanoke area in 1986, where he helped start Roanoke Valley Youth Soccer Club and turn it into a Roanoke Star. He is now in his 32nd year in charge of that club. Danny has been active locally with a number of local Boards of Directors, as well as providing opportunities to play for underprivileged youth in Roanoke. Throughout his time in Roanoke, he has helped over 700 players achieve their dreams of playing soccer at the next level collegiately. Danny has helped bring professional soccer to the Roanoke Valley, through amateur and exhibition games. Locally, Danny has impacted the economic growth through hosting tournaments since the late 80's. Danny was one of the pioneers in helping form VCCL in the 90’s, which has now turned into the CCL (Club Champions League) where he currently serves as the President. For 22 years, Danny has taken players to Europe to compete in the Gothia Cup. In 2015, he was recognized by the Gothia Cup for his consistency and loyalty, and welcomed into their Hall of Fame. He continues to take coaching education trips to help further his knowledge of the game, and build relationships with other clubs domestically and internationally. In 2016, Danny started a tutor/ESL program in partnership with the Blue Ridge Literacy Program and Junior Women’s League, to help local soccer players thrive academically in order to participate in Roanoke Star. Danny served on the VYSA BOD for a number of years and served as VYSA ODP Director for many years. He recently helped open a brand new soccer facility (Countryside Sportsplex) with 6 grass fields in the heart of Roanoke. Ed has more than 25 years of experience at the local, state, and national levels of the game. He served as Vice President of the Virginia Youth Soccer Association and President of Prince William Soccer, Inc. – a 3,000 player recreational and travel club in Northern VA. During his tenure at PWSI, he initiated and led the “Let There Be Lights” campaign that resulted in Prince William County’s first lighted soccer fields. Ed also conducted an analysis of county user fees, which resulted in the county making significant investments in high-quality soccer fields at Tyrell, Chinn and Howison parks. In 2011, Foster-Simeon was awarded Community Leadership Award from the President’s Council on fitness, Sports and Nutrition (PCFSN) based in large part on his work at the grassroots level of the game. Ed has been an active member of the U.S Soccer Foundation’s Board of Directors since 2004 and a champion of soccer as a vehicle for youth development and social change. He was named President and CEO of the U.S. Soccer Foundation in May, 2008. Under his leadership the US Soccer Foundation has become a nationally recognized leader in sport-based youth development, placing a special emphasis on programs that improve health and social outcomes among children in underserved communities. The US Soccer Foundation’s work was recognized with the 2010 Steve Patterson Award for Excellence in Sports Philanthropy and has earned the prestigious Social Innovation Fund award in the Healthy Futures portfolio and a Justice Department Office of Juvenile Justice and Delinquency Prevention Multi State Mentoring Award. During Foster-Simeon’s tenure, the US Soccer Foundation’s annual Urban Soccer Symposium has developed into the nation’s premier event where coaches, mentors and administrators learn and exchange best practices in the use of soccer as a vehicle for youth development. Prior to becoming CEO of the US Soccer Foundation, Foster-Simeon served as Deputy Managing Editor at USA TODAY. He is an Executive Committee member on the Board of Directors of both the Campaign to End Obesity and the NAACP Foundation. Ed is a former member of the Board of US Soccer Hall of Fame and served on the USA Bid Committee for the 2022 FIFA World Cup. A US Navy Veteran, Foster Simeon holds a Bachelor of Science degree in Journalism from the University of Maryland. Ed is a native of Brooklyn, NY. Margaret Gardner, known as “Mike” to everyone, started in soccer as a recreation coach with the Springfield Youth Club and later in 1979 became a WAGS Coach still coaching for the SYC. She served as the WAGS-Virginia Head Registrar from 1980-1992. She was the WAGS Tournament Co-Chair in the early years of the tournament and continued to volunteer at the WAGS Tournament for many more years. Mike served on the VYSA Board of Directors as the VYSA State Registrar from 1986 to 1991 dedicating many countless hours serving the VYSA Membership. In addition she served as the Girls ODP Co-Chair from 1991-1996. Mike’s passionate dedication, hard work and her love for the game of soccer greatly contributed to the success of all the programs in which she was involved. D ave has a vast array of soccer experience as a player, coach, and front office executive. He was a standout forward for Men’s Soccer at the University of Maryland earning All-ACC honors while also playing as a member of the U20 US Soccer Men’s National team. Dave played professionally for the Milwaukee Wave (1989-1990) and the Pittsburgh Stingers (1990-1994) then transitioned into Duquesne University’s first-ever Men’s Soccer coach in 1994. Dave was later hired as the first Vice President and General Manager of the Pittsburgh Riverhounds, leading them to the playoffs and to Organization of the Year honors the following year. He joined DC United in 2002 as Technical Director and was named the club’s General Manager in 2007 and in 2014 was named Vice President of Soccer Operations in addition to his role as General Manager. During Kasper’s 15-year tenure, DC United has won five major trophies: the 2004 MLS Cup, the 2006 and 2007 MLS Supporters’ Shields, and two Lamar Hunt US Open Cups (2008 and 2013). Kasper has guided United to nine playoff appearances, including three as the first-place team in the Eastern Conference. Dave works closely with the coaching staff in identifying and signing talent, developing draft strategy, and overseeing the direction of the club’s youth development, including the D.C. United Academy and camp program. Earl is a US Soccer “A” licensed coach, was an instructor with the Virginia Metro-DC Coaching Education Program, and a State and Region I ODP staff coach. He played on his college and the Jamaican U19 National teams and was a player and coach with United States Marine Corps teams. He coached boys’ and girls’ Virginia Division I teams which were State Cup Champions and Finalists, and developed many successful collegiate, national and professional players. In 1993 Earl was selected as the VYSA Boys’ Coach of the Year, US Youth Soccer Region I Boys’ Coach of the Year, and US Youth Soccer Boys’ Coach of the Year. Scott was a USSF Referee from 1990 – 2008. He was the State Referee Administrator for 10 years, during which time he opened the State Referee Office and hired a Referee Program Administrator. He introduced the Center Circle, a referee website, and an on-line registration system. Under his leadership the number of USSF certified referees increased from 2,500 to 7,000. Scott wrote many articles that were published in Referee magazine. He was recognized by US Soccer for his accomplishments during his tenure and was awarded the Keith Bunting Memorial Award for Lifetime of Service in 2009. Tony, a native of England who has lived in the DC area for decades, began shooting photographs of the Washington Diplomats in the 1970’s. He is one of the most accomplished soccer photographers in America, having captured wonderful images of the sport at every level, including three Men’s World Cups, three Women’s World Cups, three Olympics, several College Cups, CONCACAF Gold Cups, and World Cup qualifiers in the Caribbean and Central America. Tony’s clients include DC United, FIFA, and Soccer America. Carolyn holds the US Soccer “A” license and the NSCAA National Diploma. She coached several VA-DC Hall of Fame players, including Jill Ellis. She was the girls’ head coach at Lake Braddock High School for nine years, winning several District, Regional, and State Championships. She also coached the Braddock Road Cyclones, who were 1988 Region I Champions and National Runners-Up. That year she was selected as one of the Washington Post’s All-Metropolitan Coaches of the Year. Carolyn was one of the first females on the VYSA Coaching Education Staff and was a Region I ODP Staff coach for many years. Clyde played in college and professionally for many years before transitioning to coaching. He served as Assistant Coach of the Washington Warthogs, Coach at the University of the District of Columbia, and Assistant Coach of the WPS’s Washington Freedom. He led his teams to 13 US Youth Soccer Virginia State Cups, three US Youth Soccer Region I Championships, one US Youth Soccer National Finalist title, and one US Youth Soccer National Championship title. Clyde was named NSCAA 2007 Youth Girls National Coach of the Year, Virginia Youth Soccer 2011 Girls Competitive Coach of the Year, and US Youth Soccer 2011 Region I Girls Competitive Coach of the Year. He holds a USSF “B” License and a National Youth License. Julie's career in soccer began when her oldest started playing. She was a team mom and a team manager, then became an NCSL registrar in 1985 and head NCSL registrar a few years later. She was hired as VYSA Administrator in 1992 and opened the first State Office, where she has overseen the growth of VYSA from fewer than 50,000 players to 145,000. For many years Julie was also the administrator of the ODP and Coaching Education Program. She has served as VYSA Workshop/Convention Administrator for more than 20 years, and as the VA-DC Soccer Hall of Fame Administrator since its inception. Julie has also done much as a volunteer, including working at the 1994 World Cup, at the Men's and Women's National Team games hosted at RFK, and helping the Federation staff in managing its AGMs. Denise has devoted more than twenty years to serving the soccer community at the local, state, regional, and national levels. She coached and has served as SEVYSA Administrator; area commissioner, parliamentarian, and president of Norfolk Youth Soccer League; Executive Director of Virginia Rush (formerly Virginia Beach Soccer Club); administrator of the Virginia Soccer League, Inc., and VYSA Vice President and laterVYSA President. On the regional and national levels Denise is a respected and sought-out state president. Her knowledge of the soccer business, construction business, and local government political processes, along with her perseverance, has allowed VYSA to break ground on the VYSA soccer complex. Denise's skills in organization, financial management, and leadership have been invaluable to youth soccer in Virginia and the District of Columbia. Dan has been involved with soccer since 1982, first as a volunteer coach for his children's teams and continuing on to work over 2,100 matches as a referee until his retirement in 2011. He became an instructor in 1986, and in 1999 was selected by USSF as Virginia's first (and so far only) National Referee Instructor. He has been a member of USSF's National Instructional Program Staff since 1996. Dan's work with USSF has focused on the development of referee training materials, including Advice to Referees on the Laws of the Game, The Laws of the Game Made Easy and Offside Made Easy. He has written more than two dozen articles as a contributing editor to Referee Magazine. 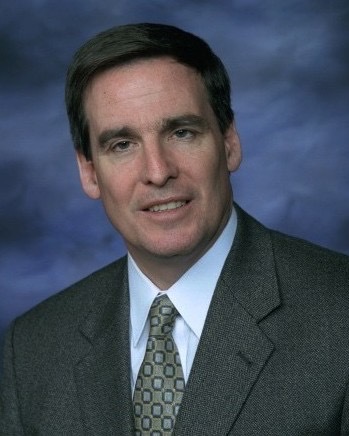 Dan was Metro DC-Virginia's Assessor of the Year in 1993 and 2009, and Instructor of the Year in 2000 and 2014. Bob played and coached youth soccer, became a USSF certified referee in 1979, a USSF National Referee in 1992, a State Assessor in 1993, and a State Instructor in 1986. He served as State Referee Administrator, State Director of Referee Instruction, and Local Area coordinator for Professional Referee Assignments for many years. While a National referee, he officiated very high level matches in Virginia and the District of Columbia. As the SRA, Bob maintained the database, processed all referee applications, and handled all the finances of the referee program. As a result of his leadership and mentoring of younger referees, Virginia had its first referee on the FIFA panel and ten new National referees in the two years immediately following his tenure as SRA. Jim Ferguson began his involvement in soccer more than 25 years ago when he was drafted as a substitute coach for his son’s rec team. He has been a team manager and a club rep to NCSL and the league’s Virginia Commissioner. Jim served on the VYSA Board of Directors, first as Boys North Travel Commissioner, and then as President from 1995-2000. He is past chairman of the US Youth Soccer Rules Committee and has been a member of the USSF Rules Committee. Jim co-founded the Washington Soccer Club in 1990 and is currently its president. 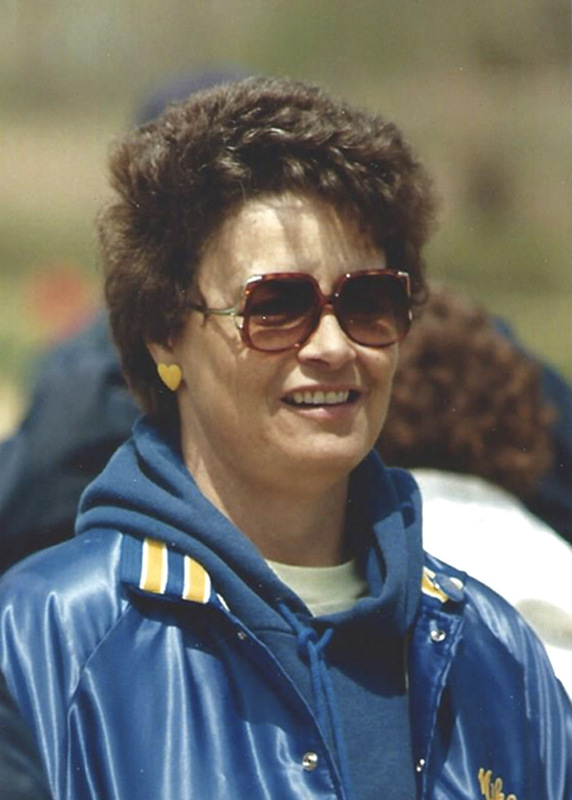 Anne Thompson began her soccer career as a coach in the late 1970’s. Following many years of successful coaching she was in charge of the Opening Ceremonies at the 1990 US Youth Soccer National Championships in Virginia and was the co-commissioner of the Friendship League from 1991-1994. Anne has served on the VYSA Board of Directors, first as North Recreational Commissioner and then as North Travel Commissioner, for almost 20 years, and has been a member of the VYSA Workshop and Budget Committees. Anne has been the State Cup Director since 1992 and the Presidents Cup Director since its beginning in 2009. During and after a successful career as an Air Force officer, Bob spent 30 years as a volunteer soccer coach. He coached three travel teams, helping to develop some of the top players at Division One colleges. He focused on individual and team development, but also instilled in his player’s lessons that could be used throughout their lives – showing the best of sportsmanship and giving back to the sport and to society. Bob’s teams won 15 Virginia State Championships and were finalists 11 additional times. He pioneered U-20 and U-23 team competition for WAGS and championed starting U-17 competition. Bob was selected as VYSA’s Girls Competitive Coach of the Year in 1987, 1991, and 2008. He was also chosen as Region I US Youth Soccer Coach of the Year in 1991. Roy Gordon was recently inducted into the University of Mary Washington Athletic Hall of Fame. He was the founder of the soccer program at Mary Washington, where he coached for 34 years. He had one of the best records in NCAA soccer history, winning 432 games and becoming only the eighth coach in NCAA Division III to reach the 400-win plateau. Roy led his teams to nine appearances in the NCAA Division III National Championship Tournament and was a six-time NSCAA Regional Coach of the Year, as well as a seven-time CAC Coach of the Year who led his team to eight CAC Championships. Roy became the 50th president of the NSCAA in 1998 and received the NSCAA Honor Award in 2009. Jeff is a long-time, dedicated member of the soccer community who has served in many different capacities. He coached his son’s team from its inception through college. He was R&D Chairman of the National Capital Soccer League for a year and then was elected president, a position he held for twelve years. Jeff was a long-time member of the VYSA Board, first as Boys North Travel Commissioner and later as Treasurer. He also served as Soccer Start Chair for US Youth Soccer. In addition, he was a certified referee for over 24 years. Jeff’s knowledge and experience greatly strengthened soccer in northern Virginia. He is now involved as a proud grandparent, watching his granddaughters play. Keith was a three-year letter winner at American University. He was a repeating all-star in the Capitol Soccer League, and also served as the League’s president for several years. Keith was Georgetown University’s head coach for 22 years, where he finished with 220 wins, making him Georgetown’s all-time winningest coach. Keith was twice named Big East Coach of the Year, and in 1997 was named the USASA National Coach of the Year as he coached the Sports Festival East team to a gold medal. He served three years as US National Amateur Team (US “B” Team) Head Coach. He was the Assistant National Coach for Bermuda for the 2010 World Cup Qualifying. He is served 7 years as the Region 1 ODP Head Coach, works as a TV analyst and is a National Instructor with US Soccer Coaching Education. Keith is also co-director of the Elite 300 Soccer Academy, a scout for US Soccer and currently the Director of Soccer for McLean Youth Soccer Club. Dave grew up watching the NASL’s Washington Diplomats, hoping to one day become a sports broadcaster. In 1996 he became the television play-by-play voice of DC United. He has done play-by-play for outdoor and indoor soccer on the Fox Soccer Channel and ESPN, including five NCAA Championship games. He also broadcast World Cup 2006 in Germany on XM Satellite Radio. He served as host of a weekly television show for four years on Home Team Sports (now Comcast SportsNet). Dave is also the Sports Director and morning sports anchor on WTOP radio, where he has been recognized three times as Best Radio Sportscaster in Washington. He has also been the radio play-by-play announcer of the NBA’s Washington Wizards for the past 12 years. Ken’s accomplishments in soccer include four State Championships as coach of C. D. Hylton High School, two NSCAA Division I High School National Championships, and two US Youth Soccer Regional Championships. He has the most wins by a VHSL Boys Soccer Coach, with an overall record of 386-191-37. Ken served as head coach at Harford Community College from 1977-78, and as assistant coach at American University from 1984-87, where the team was a National Finalist in 1985, and at George Mason University from 1987-88. Ken has also worked with the DC United and Washington Freedom youth programs, where he led his teams to two Final Four appearances and to a National Championship. He has served on the VYSA ODP and US Youth Soccer Region I staffs. Ken has served as the Technical Director of Player & Coach Development at Prince William Soccer, Inc. and with McLean Youth Soccer. Chip first kicked a soccer ball while at the University of Richmond. He went on to play senior amateur soccer for 20 years. He started soccer programs at three high schools and was the varsity boys’ head coach for 35 years. His teams won numerous District and Regional championships and went to State finals. He was named Virginia Small School Coach of the Year four times, Regional Coach of the Year twice, and was nominated for National Coach of the Year three times. Chip was co-founder of two of the first soccer camps in northern Virginia, and continues today as director of the Chip Rohr Soccer Camp. His proudest achievement is being the longest-serving member of the VYSA Coaching Education Staff, with 29 years of service. He has taught hundreds of coaches who have continued on to the youth, high school, college, and professional levels. Mac’s service to the game of soccer took the form of founding Soccer Camps, refereeing, and coaching education. In 1976 he founded the Manassas Soccer Camp at the Northern Virginia Community College Manassas campus, in 1978 he co-founded the Linton Hall Soccer Camp, which continues today as Chip Rohr’s Soccer Camp, and in 1983 he founded the Fauquier Soccer camp. Mac served as administrator at all three camps. 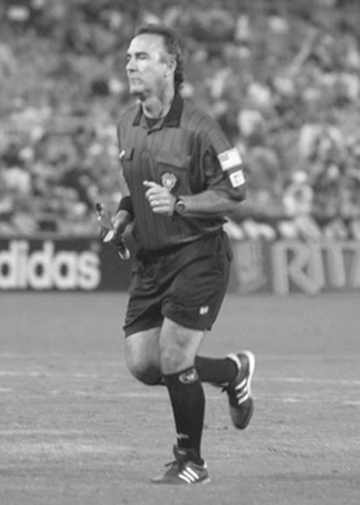 He became certified as a referee in 1970 and worked in the NASL and ASL, as well as senior amateur matches. He was an active referee and instructor, and helped to develop the referee assessment program. He also hosted VYSA Coaching Education courses at NVCC Manassas for many years. Alkis was born in Greece and was an international soccer player with Aris F.C. Thessaloniki, Greece. In 1958 he was named “Most Valuable Player”. He became the head coach of the Hellenic Soccer Team of New York, and then head coach of the Greek American Soccer Team of New York, which was the USA Champion for three years. In 1983, after several years of coaching Greek teams, Alkis coached the NASL’s Team America, which was based in Washington, DC. The following year, he coached the United States team in the Olympics and, in 1995, at the World Cup qualifiers. He returned to Olympiakos, which won two more Greek Championships, and then to Aris, Thessaloniki. In 1992 Alkis was named head coach of the National Team of Greece, which participated in the 1994 World Cup. He currently is a FIFA Instructor on the Technical Committee. Gary Allen led his Randolph-Macon College team to the Virginia College Athletics Championship in 1972. While still in college he was named as an alternate to the US Olympic Team. After college he began his coaching career, coaching both Men’s and Women’s Division I College programs, high school teams, state and regional Olympic Development teams, and a Women’s State Team that won three National Championships. Gary became the youngest coach in Virginia to attain the US Soccer “A” License, was Virginia’s first ODP coach and one of the first two Coaching Education instructors in the state. In 1980 he was appointed as Co-Director of the Eastern US Regional Camp for the Olympic Sports Festival. In 1994 he became a member of the US National Coaching Staff. Over the years, Gary has coached 31 players who made All-American in college and 17 players who made the US National Teams. He has received national attention for his many articles concerning youth soccer development in the United States. of Marketing for the Federation. In 1991 he became Executive Vice President of Sales and Marketing at Soccer, USA Partners, and, two years later, its president. Kevin helped to form a charter group of investors for the creation of Major League Soccer, and also put together the original investment group for DC United, serving as President and General Manager of the team until 2001. He then joined AEG as Senior Vice President and Managing Director, overseeing six MLS teams. He returned to DC United in 2004 as President and CEO. Kevin currently sits on the MLS Board of Governors, the US Soccer Federation’s Board of Directors, the US Soccer Foundation’s Board, and the DC United Board. Lauren was an All-American at the University of North Carolina and was the captain of the 1982 NCAA championship squad. She won a national title as assistant coach at UNC, and then joined the Harvard staff as an assistant coach. She was the women’s head coach at the University of Virginia from 1988through the 1995 seasons, earning a trip to the NCAA Final Four in 1991 and a total of seven consecutive NCAA tournament bids. She was named the NSCAA Coach of the Year in 1990, the only woman to receive that honor. Lauren became the first woman to serve as an assistant coach for the US Women’s National Team in 1989. Her teams won the 1991 FIFA Women’s World Championship in China, the 1995 Women’s World Cup in Sweden, and the 1996 gold medal at the Olympics. Lauren then became head coach of the U21 US Women’s National Team which won the Nordic Cup in 1997 and 1999, and earned a silver medal in 1998. She is the author of The Champion Within, Training For Excellence and is currently the US State Department’s USSF Sports Envoy to Nigeria. Jay played his college soccer at Pennsylvania’s East Stroudsburg University. Over the next several years, he was the head coach at three colleges and assistant coach for two NASL teams. He then coached with the MISL’s New Jersey Rockets, Buffalo Stallions, and Cleveland Force. Jay assisted in the writing of Project Gold and Project 2010, the Women’s and Men’s Player Development Programs, along with US Soccer’s state and national coaching license materials. He coached the U17 (assistant) and U20 (assistant and head) Men’s National Teams. Jay was the head coach of both the 1999 Women’s Pan Am Gold Medal team and the 1999 Women’s World Cup Championship teams, and went on to become head coach for the Boston Breakers of the WUSA. Jay is currently the head coach of both the USL Division 1 Virginia Beach Mariners and the US Paralympics National Team. He is also the Director of Academy Coaching at the Virginia Rush Soccer Club, and has recently been named the Region I Boys ODP Program Head Coach as well as the VYSA Boys Coach of the Year. Jac is currently the boys’ varsity head soccer coach at Centreville High School as well as a U15 WAGS coach. Prior to taking those positions, he spent 13 years as the head women’s coach at George Mason University, where his teams made five NCAA tournament appearances and where he won College Division I Coach of the Year Honors in 1993. Jac was a Region I ODP girls’ head coach for 17 years and ODP boys’ staff coach for three years. The women’s U20 National Team was the winner of the first U20 European Championships while he was the assistant coach. His Olympic Sports Festival Women’s team won a silver medal in 1993. Jac was the boys’ varsity coach at Lake Braddock Secondary School for 10 years, where the team won four state championships and he earned National High School Coach of the Year Honors in 1983 and 1990. He was named the 1987 US Youth Soccer Boys Coach of the Year. Jac was also a VYSA charter Board member. April was the head coach of the U.S. Women‘s National Team from 2000 – 2005, the first woman to hold that position. In 2003, she led the US to a third-place finish in the Women’s World Cup, and the next year to a gold medal victory at the 2004 Olympics in Greece. April played four years at the University of North Carolina where she was named First-Team All-American three times. She then played professionally with the Italian Club team Prato. In 1991 she captained the US to the Women’s World Cup title. She served as head coach at Princeton, the University of Maryland, and the University of Virginia. April also was head coach of the U16 National Team for four years. Her honors include being named US Soccer’s Chevrolet Female Athlete of the Year in both 1986 and 1989 and Soccer America’s Female Player of the 1980s. April was the first female player inducted into the US Soccer Hall of Fame, and, in 2000, was named as the inaugural recipient of the NSCAA Women’s Committee Award of Excellence. Peter was born in England and played local and semi-pro soccer in Leeds. He started coaching in 1960, then moved to the United States in 1968. Peter coached youth soccer teams in Maryland and northern Virginia from 1969 to 2002, and has coached high school soccer from 1970 to the present, for a total of 54 seasons. 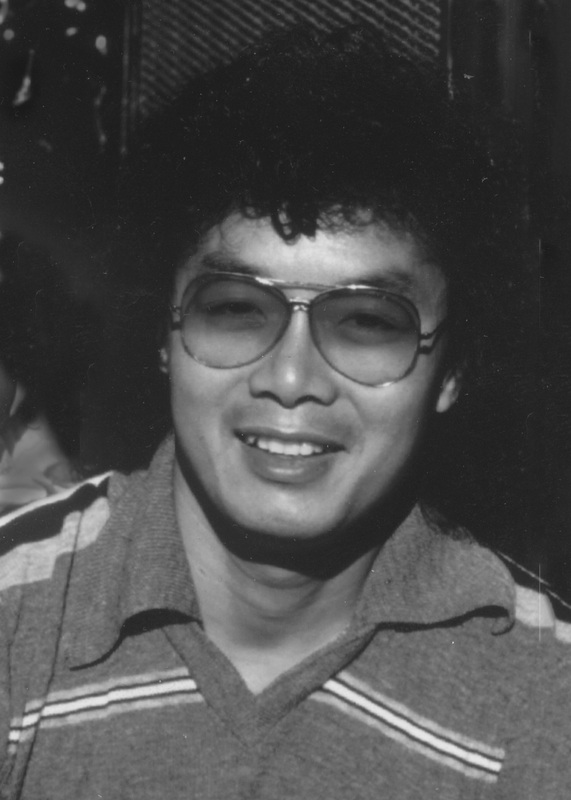 Peter’s club teams won more than 30 state championships, nine teams went to Regionals and, in 1984 and 1992, his teams won National Championships. His high school teams won four Metro Washington championships, five Virginia State Catholic Championships, and several tournament championships. Peter won National Youth Coach of the Year honors in 1984 and was inducted into the De Matha High School Hall of Fame in 2001. Peter was also the first National referee from Virginia, is past president of the Northern Virginia High School Soccer Coaches Association, and began the Soccer Start program in Washington, DC. Al was the head men’s soccer coach at the College of William and Mary for 33 years, after graduating from that college in 1969. Over the course of his coaching career, his teams have amassed 401 wins, made 12 NCAA appearances, and finished in the Final 8 in both 1980 and 1996. He is one of only eight Division 1 college coaches to have won 400 games. Al has owned and operated the Tidewater Soccer Camps for over 30 years. He helped to establish the Williamsburg Soccer Club in 1974, and is still a director. He is an officer in many local and national soccer organizations; he is past president of the National Soccer Coaches Association. He received the Bill Jeffrey Award from the NCSAA to honor his longtime contribution to college soccer. Al is currently the Associate Director of Athletic Development at the College of William and Mary. He is a past president of the NSCAA and has received the Bill Jeffrey Award and the Honor Award from the association. He presently chairs the NSCAA Foundation. Bob was an NSCAA All-American at Broome Community College. After entering the Navy in 1963, he was stationed in Turkey where he played and coached on a base team and played and trained with a local village team. He moved and founded the Virginia Beach Soccer Club in 1977. For many years Bob worked with recreational, travel, junior high and high school teams, winning many league and tournament championships. He also coached U14 Girls at the State level for six years. In 1985, Bob’s ’72 Fury won State Cup, he was co-chair of the All-Navy team, and he was selected as the VYSA Boys Coach of the Year. Bob has served on the Boards and as President of Virginia Beach Soccer Club, Beach FC, Southeastern Virginia Soccer League, and the Southeastern Virginia Soccer Referees Association. Beach FC has honored him by issuing annual scholarships in his name to a graduating boy and girl. John Kerr began his career in the United States in 1968 with the NASL’s Detroit Cougars. That same year he also captained the Canadian National Team in the World Cup Elimination Tournament. For the next several years he played with the ASL Washington Darts and coached at Georgetown University and American University. John next played with the HOTA Club of the German American Soccer League, the New York Cosmos, Club America of the Mexican First Division, and then back to the Cosmos. He was named #10 on Soccer America’s 20 Men of Influence in Soccer in 1981. His Montgomery United team won the U16 North American Championship in 1981. He also coached the Fairfax Spartans to the National Amateur Championships in 1986. In 1997, John organized the first Soccer Players Association and the first Players Association in the Major Indoor Soccer League, and negotiated Collective Bargaining Agreements, including freedom of contract for the players, in both of those agreements. Mike’s soccer career began at the University of Maine at Farmington, where he was a goalkeeper and team captain. His collegiate coaching career began at Maine’s Thomas College. He then led UNC-Greensboro to NCAA Division II national titles in 1982 and 1983. Next, at Old Dominion, his team won the 1987 Sun Belt Conference Championship. In 1996, Mike guided Notre Dame through its most successful season, when they won the Big East Tournament Championship. He was the National Director of Coaching for the NSCAA, the NCAA National Coach of the Year, Division III, in 1982, and the Midwest Conference Coach of the Year in 1993 and 1994. Mike was honored by the Maine Sports Hall of Fame with the 1997 Outstanding Achievement Award and the 1995 Presidential Award, and was inducted into the Maine-Farmington Sports Hall of Fame in 1999, shortly before he passed away. Hank is the Head Coach of the Northern Virginia Majestics and is a member of the VYSA Coaching Education Staff. He was the Head Women’s Soccer Coach at George Mason University for ten years, the U.S. National Women’s Team Assistant Coach for five years, and the U.S. Youth National Women’s Team Head Coach for four years. Hank has also been the VYSA Director of Coaching, a U.S. Soccer staff coach, and the EPYSA Director of Coaching. He was a member of the U.S. Youth Soccer Region I Staff for many years. Hank was named National Coach of the Year by the U.S. Youth Soccer Association in 1982, by the NCAA in 1985, and by the W-League in 2000. After graduation from Law School and during a career in both public service and the private sector, Koskinen coached youth soccer for ten years, and was named the 1989 Women’s Coach of the Year in Maryland. He was a founder of the American Soccer League, and the owner of the Washington Stars and later the Maryland Bays. Koskinen was elected as one of the nine original directors of the US Soccer Foundation in 1994. He was the chair of Soccer “94 DC Region and was responsible for bringing the ‘94 World Cup Games and the “96 Olympic Soccer Games to Washington. He is currently a member of the Advisory Committee to the President, US Soccer Federation, and was reappointed last year as Director, US Soccer Foundation. Watson began his soccer activities in the late 1960’s with the Annandale Boys Club where he helped to organize the club’s first Girls League. In 1970 he was elected Junior Commissioner for the National Soccer League of Washington. Two years later he became active in the newly-formed Metropolitan D. C. – Virginia Soccer Association State Youth Cups, and has served as president since 1975. Watson has served for over ten years as chairperson of the Select Team Committee of the United States Amateur Soccer Association. He was the Secretary and Deputy Director of USASA Region I and became Director in 1990. He has represented the USASA Region I on the USSF National Board of Directors for over 11 years. Derflinger began her soccer career when she coached a girl’s team in Lee-Mt. Vernon (1969). She teamed with Rael Vodicka in the early 1970’s to form the Washington Area Girls Soccer League (WAGS), where she served as treasurer. Derflinger was elected the President of the Virginia Youth Soccer Association (VYSA) and was named the Region I Director for United States Youth Soccer Association (USYSA) by the mid-1970’s.She became the first female Board member of the US Soccer Federation (USSF) in the early 1980’s and in 1986 was elected Chairman of US Youth Soccer, which put her on the USSF Executive Committee. Derflinger fought tirelessly for funding for the US Women’s program and sees the US Women’s development as one of her proudest achievements. USSF voted her a “Life Member” in 1990. She received the Sporting Goods Manufacturers of America “National Heroes Award” in 1995 for her dedication to soccer in the local community. In 2004 Mavis was inducted into the CONCACAF Hall of Fame. In 2009 Mavis was inducted into the US Youth Soccer Hall of Fame and the US Youth Soccer Region I Hall of Fame in (its inaugural year). Eddie Fath served soccer in Washington DC for 30 years until he passed away in 1985. He founded the Washington Internationals Soccer Club and Myron Corwell, organized Washington All-Star teams, and staged numerous “soccer events” for the Washington DC area. Fath used his position at the Washington Star and contact with the Baltimore papers to continually promote the game. Fath could rightfully be called “Mr. Soccer” in Washington DC during the period from the mid-1950’s through the mid-1970’s. Also a player, Fath’s strengths were in continually organizing and promoting the game in our area when it was still considered a “foreign sport”. Larry became actively involved with soccer in 1970 when he assisted in establishing Soccer on the Hill, the first Washington DC youth soccer league. Monaco subsequently became a US Soccer Federation (USSF) referee and received the USSF “D” Coaching license. From 1984-1997, Monaco served on VYSA’s Board of Directors, including stints as Vice President and Secretary. Nationally, Monaco has served on US Youth Soccer Association and US Soccer Federation Appeals and Rules Committees, chairing the latter. From 1994-1998, Monaco served as US Soccer Federation Executive Vice President and on the US Soccer Federation’s Board of Directors. He was elected and served as Vice President of US Youth Soccer from 1999-2001. In 2005, Larry was awarded the first NSCAA National Youth Recreational Coach of the Year for youth female players. Larry was also elected and served as President of US Youth Soccer from 2006-2010. He is the immediate past President of US Youth Soccer and is the Co-Chair of its National League Committee. In 2009 Larry was inducted into the US Youth Soccer Region I Hall of Fame and was inducted into the US Youth Soccer Hall of Fame in 2012. One of the true pioneers of Virginia soccer, Towner founded the Potomac Kiwanis Soccer Club in 1969, and has served since then as its Treasurer. He has also been a coach and club manager. In 1970, he helped to found the Arlington Soccer Association, serving as an officer and continuing Board member. Towner was elected President of the Virginia Youth Soccer Association (VYSA) in 1982, serving until 1985. VYSA membership grew from 6,000 to 31,000 during this period. Towner also established the VYSA Newsletter. Towner has served as US Youth Soccer (USYSA) Sub Regional Director, USYSA Regional Director, and on the US Soccer Federation (USSF) Board of Directors. He has held numerous committee chairmanships with both USYSA and USSF, and wrote a weekly soccer column for the Northern Virginia Sun. Towner’s honors include Arlington Interservice Club Council’s “Man of the Year” for youth soccer development (1970), the Virginia Parks and Recreation Society’s award for “Outstanding Support and Achievement for Volunteer Services” (1973) and selection by Better Sports Club as the Arlington “Sportsman of the Year” (1989).